Happy New Year to all MEDA members and I want to wish you a prosperous new year in all your endeavors. 2014 will be an interesting year and one which I feel can bring many opportunities to the State of Michigan. Whether you are a Spartan fan or not, winning the Rose Bowl for the 100th game is a nice win for in many regards for our state and I hope this good luck continues in other ways this year. Thank you for re-electing me to the Board of Directors; it is my pleasure to serve as your Chairman for this year. As we have in the past, MEDA listens to you, our members, when we develop new initiatives. I am excited to give you a sneak preview of that. A new website is in the final stages of completion and will have a new look along with easier navigation. It will include online payments for all of our events. Along with a new website comes with it new branding and marketing plan that we will be pushing in order to grow the Certified Business Park program, a valuable resource for business attraction. One of the valuable resources any association can provide is training. Look for new National Development Council (NDC) Courses as well as Courses from International Economic Development Council (IEDC) throughout this year. Last year we started a Young Professionals group and they continue to plan and execute ideas and events for the year. One of those planned will be Get Hired for a Day, a pilot program which will mentor young professionals in the field of economic development, giving them actual on the job experience. In a few months, they will also host an education and networking opportunity. Our annual meeting will be held at Boyne Mountain Resort from August 20-22nd. This years theme will be Operation Sandbox: Where Collaboration Shapes Success. The committee is hard at work on the content and you will be seeing information come out in a few months about our annual event. We plan on having an active year and I urge you to become involved. I am fortunate to work with a great group of Board members; many of them are new and eager to lend a hand. Our staff which includes John Avery and Cassandra is some of the finest professionals in the association world and we are looking forward to developing new programs and listening to you, our membership. Please do not hesitate in contacting myself or other members on the Board if we can be of assistance to you in role of economic development. Thank you and cheers to 2014! The US Foreign-Trade Zones Act is intended to expedite and encourage foreign commerce, and provides a tool to help level the global playing field for job creation to occur in the United States. As foreign direct investment from Europe and Asia continues at a strong pace, economic developers should be mindful of the benefits Foreign Trade Zones (FTZ) can bring for companies locating or expanding operations in the US. In sum, FTZs allow a firm to reduce, delay, or altogether eliminate US Customs duty on the raw materials or inputs it must import, thus reducing costs of performing value-added work in the US. Other advantages include cost savings on filing merchandise processing fees with Customs and direct delivery of goods upon arrival in the US. Every FTZ must be affiliated with a port of entry. With the longest freshwater coastline in the US, the second longest overall coast line after Alaska, and several inland ports, Michigan has 21 ports of entry. Michigan’s proximity to its largest trading partner (Canada), and proximity to Chicago – the third largest container port in the world and the only place in the hemisphere where all six Class 1 railroads meet — Michigan is well-positioned to take advantage of the benefits of Foreign-Trade Zones. Foreign-Trade Zone 43 at the Port of Battle Creek was established in 1978, and serves a 14 county region in Southwest Michigan. It provides a text book example of FTZs encouraging domestic and foreign manufacturing investment and expansion. Many of the 23 foreign-based manufacturers in Battle Creek’s Fort Custer Industrial Park have utilized FTZ services during start-up operations. Others take occasional advantage of the public warehouse located at the Battle Creek port. “Subzones,” manufacturing sites beyond the service area of FTZ 43, utilize FTZ benefits as well. Foreign-Trade Zones are unique economic development tools in that they are not direct participants in business attraction and retention, instead offering a service. By federal legislation, FTZs must operate as public utilities, offering like services to all who may apply. With that independent, public utility distinction, FTZs must operate in accordance with other federal regulations. The charter of every FTZ establishes its geographic service area – thus providing equal access to FTZ benefits at any location in Michigan. My colleague Jan Frantz of Battle Creek Unlimited is the administrator of FTZ 43 and is a leading expert nationally in FTZ utilization and development. Frantz chairs the board of directors of the National Association of Foreign Trade Zones, a 700-member trade association whose goals include ongoing advocacy in Washington DC on behalf of zone programs. For more information about Foreign-Trade Zones, you should review the National Association of Foreign-Trade Zones website, http://www.naftz.org/, read Battle Creek’s FTZ newsletter, http://www.bcuknowledgenow.com/Upload/files1059/FTZ%20Newsletter%2012%20%20(2).pdf or contact Jan Frantz at frant@bcunlimited.org. One of our most recent priorities was to find a way to assist entrepreneurs and small business owners within our township with access to capital. We partnered with The Entrepreneur Institute in Lansing to provide microloans for any eligible business owner in Meridian Township. The benefit of forming this partnership is two-fold. One, it allows us a means in which to provide small microloans to our business community and two, we do not have to vet and manage the loans. We leave that process to the experts at The Entrepreneur Institute. Secondly, Meridian Township is home to The MARC, a new business support center. The MARC is a collaboration and partnership between the Meridian Area Business Association and the Meridian Township Economic Development Corporation with several additional partners and corporate sponsors. It is a direct outcome of Meridian Township’s participation in the pilot program of Michigan State University’s Creating Entrepreneurial Communities Project in 2007. The MARC team formed partnerships early on with our local library and with Michigan Small Business Development and Technology Center to offer resources and confidential business counseling. The MARC was originally housed at the Okemos Library but as of February 2013 The MARC leases a township owned building in our Okemos Downtown Development Authority District. Entrepreneurs and business owners throughout the Greater Lansing region can access resources and support through The MARC. The MARC team very deliberately reached out to other incubators and support organizations in the region when planning the use of the space and the educational programs. The team was dedicated to not duplicating but rather complementing services within our region. For instance, The MARC is ideal for those businesses ready to transition from incubators and home offices to a more visible work environment. At The MARC, an entrepreneur can utilize work space on a day pass basis, a month-to-month basis, or an annual basis. The annual memberships offer mail service and a one-year membership to the Meridian Area Business Association. The premier annual membership also includes a designated cubicle space. The MARC also has a large meeting space that can accommodate seminars and workshops for 30 – 40 attendees comfortably. We believe it is critical to assist our entrepreneurs and business owners in the navigation of all the diverse support services within our region. We work hard at establishing and growing strong relationships with our regional partners. Our regional economic development organization, Lansing Economic Area Partnership (LEAP), continues to play a vital role in creating a regional network of incubators which includes The MARC and in developing other programs and services that offer entrepreneurial support. The MARC provides educational programming on-site as well as promotes events and programs of other area organizations. The Meridian Township EDC Board is very grateful that we have such tremendous resources in our area to assist us in our mission to build an entrepreneurial community. The Meridian Township Board has made economic development one of their top priorities. Township staff is working closely with our EDC Board to improve the process of starting and expanding businesses within our township. We are hearing more positive feedback from business owners opening businesses in our community and the number of new businesses opening is increasing. Retention visits has also been given priority and this too is opening the lines of communication with our business community. The Meridian Township EDC Board is optimistic in the changes we see taking place both within our local community and within our Greater Lansing region. By putting a focus on the needs of our entrepreneurs and business owners we come to better understand how we can work together to meet those needs. Entrepreneurs at all stages of businesses need resources and support although those needs may change throughout the life of the business. One of our key roles as economic development professionals is to assist businesses in making the appropriate connections for their ultimate success. In my experience, building a strong sustainable entrepreneurial ecosystem that includes both resources and good policy is one strategy in our toolbox we should not overlook. What are the New Faces of Economic Development? The theme for MEDA’s 2013 Annual Meeting, to be held in Grand Rapids, will be The New Face of Economic Development. I hope you agree that this is an intriguing title as it wasn’t made lightly when the committee discussed it many months ago. The committee concluded that so much has changed in the Great Lakes State, that this was the logical title and theme for the meeting. As we come out of the economic slump, I feel much has changed in the realm of economic development and it is important to address those changes within our profession while continuing to investigate new approaches to economic development. Let me provide you a sneak preview of the types of sessions which make up our theme this year. We will discuss what the role of the economic developer is and how it has changed – what is expected of them and how have the resources been changed; a session will include a team of international speakers who will cover the global outreach that we face for business attraction; discussions will also cover crowd funding and regionalism. Change in economic development seems to continue almost on a daily basis, but for starters, I do believe Michigan Governor Rick Snyder and Michigan Economic Development Corporation (MEDC) President Michael Finney have offered a refreshing change on the approach to business attraction and retention. Whether you are a fan or not, the incentive structure has been altered and I don’t know that I have seen much fall out from this change in direction. Secondly, regional partnership has been embraced by utilizing strengths from several of our private economic development agencies across the state. Organizations such as Detroit Regional Chamber, The Right Place, and Southwest Michigan First are just a few strong organizations that are helping assist the MEDC with this regional “touch” by providing their strong areas to the overall Pure Michigan efforts. Next are the Young Professionals, a relatively new group within MEDA that will help identify, mention and education up and coming economic development professionals in providing them the network and tools that will help them grow in their respective roles. A kickoff reception will be held at the Annual Meeting and if you are 40 and under, you are welcome to attend. Register today for the MEDA Annual Meeting and I look forward to seeing you at the Amway Grand on August 21st! 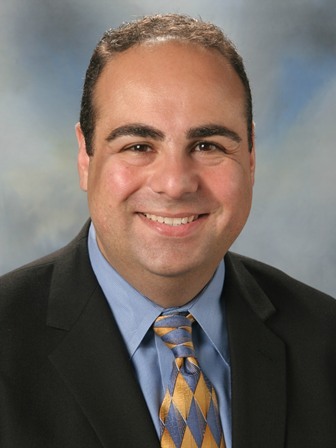 Recently I transitioned into the new position of President/CEO for the Troy Chamber of Commerce from being the Economic Development Director for the City of Novi for the past six years. I was fortunate to have worked with some fine people and businesses in Novi and now as I am in Troy, my past background and experience will hopefully benefit the Troy Chamber and business community. Chambers can be vital in economic development by helping educate businesses on how to network effectively and create relationships that are mutually beneficial. They can also assist in being an arm to their marketing department. Helping get the word out there about how strong of a company they are so that the bottom line is positively affected. Finally, speaking of a new face for economic development, the Troy Transit Center is currently under construction with a planned completion and opening in September. This will be a 2,400 square foot facility equipped with restrooms, commercial concessions, pedestrian bridge and over a hundred parking spots. The Troy Chamber was an advocate for this project and felt that it can be an added boost for local economic growth. Amtrack and SMART would utilize this center and in many cases can be a great welcome for patrons to our city. Authored by: Ara Topouzian, President/CEO of Troy Chamber of Commerce. Ara serves as Vice President of MEDA. Social innovations have become more prominent today because of ongoing research, sustainability practices, open source technology and design. There is growing interest with the public policy makers and they are now supporting social innovations. There is new thinking about innovation in public services and governments and the need of a deep social change. Innovative ideas and solutions are being listened to and supported in a bid to create social change with innovation. Social innovations are being used worldwide and social enterprises are sprouting. People are beginning to realize the importance of social and responsible investment and innovative design to solve major problems. In West Michigan, the most visible example of this social innovation is at Cascade Engineering. Fred Keller, speaking at the TEDx Grand Rapids conference at the Civic Theatre in, told the crowd “business has the opportunity to change the world for the better.” Cascade Engineering is a nationally recognized proponent of sustainable business practices that emphasize the key role business can play in building financial, social and environmental capital. They have a very important economic and social impact on our regional economy. There is a growing interest in social entrepreneurship and businesses are focusing more on innovation in their services. There are new methods of innovation being inspired by the open source field and collaborative approaches are becoming more popular. Read “The For-Benefit Enterprise” Harvard Business Review (November 2011). Heerad Sabeti. Social innovations are exploding all over the globe with new inventions and non-profit organizations being created for change. These social enterprises are the wave of the future, our future on this planet. New ventures are sprouting up and innovations are enhancing the capacity of the society to act. You can be a part of this innovation and create sustainable changes that will impact the future of our planet in a positive way. Change is imminent and the rise of social innovation is something we should all be a part of in the future. Create opportunities that allow for-benefit economic development, remove the barriers faced by these enterprises, and create a supportive ecosystem for them in your region. Wood serves as a Secretary on the Michigan Economic Developers Association Board of Directors. As Michigan’s robust economic recovery continues to set the pace for the nation, our client companies are all bringing their talent issues forward. The challenge is so great that Governor Rick Snyder’s recent Economic Summit quickly turned into a talent development discussion. Across Michigan economic development organizations and their partners are working tirelessly to address this barrier to growth. All of this attention focused on the talent needs of our clients begs the question: what are we doing to grow the talent pool within the economic development profession? Being an economic developer is an extraordinarily rewarding career opportunity. We have the ability to migrate between private and public sector domains, impacting corporate decisions as well as public policy. We can draw energy from the upstart entrepreneurs we assist. We are leaders in our community, helping to shape the vision of our region and towns for generations to come. And we can drive by projects and take great pride in knowing we had an impact on the lives of those people who parked their cars in that company lot that day. Internships: My career started as an intern at Greater Gratiot Development, Inc. In a ‘pay it forward’ kind of way, I have run an internship program at Lakeshore Advantage. Though the interns have not stuck within economic development, they have made a strong contribution to the success of our organization. We just interviewed 4 outstanding candidates for this summer and will be adding two to the team—a very cost effective way to bring new talent and new ideas into the organization. Mentorship: My career has been filled with great mentors. At each stop, people have generously given of their time and talent to help me develop my career. Too many to list. Who are you mentoring today? MEDA has launched a new Young Professionals Group that is seeking out mentors—sign up with Cassandra today! Flexibility: Our team at Lakeshore Advantage is outstanding. We have been able to hire great talent, largely out of industry. To be honest, our compensation package is average. We make up for this by offering a flexible work environment. Leadership: Our team is also active in the community, taking leadership roles on a variety of initiatives. This reinforces their importance to the team and the community, gives them a development opportunity and helps expand their network. All of this is beneficial to the organization too! Training: We can all utilize MEDA even more than we already do. As Chair of MEDA’s Education Committee, I am always open to new ideas for programming. We have two great upcoming programs to put on your calendar (and bring someone from your staff! ): the Toolbox program on May 30th is a great look into the details of the myriad of programs we all utilize; in November, we are going to ask each of you to put yourselves in the shoes of your client—we will be offering manufacturing-type training, including lean, Six Sigma and corporate innovation training. Let’s learn what our clients are learning. Economic development is highly rewarding work. We can drive through our communities and see the impact we make. Economic development is a natural for anyone seeking significance in their career. This list above is just a start. In the comments below, add your own best practice to the list. What are you doing within your organization to attract and retain the best in the economic development profession? 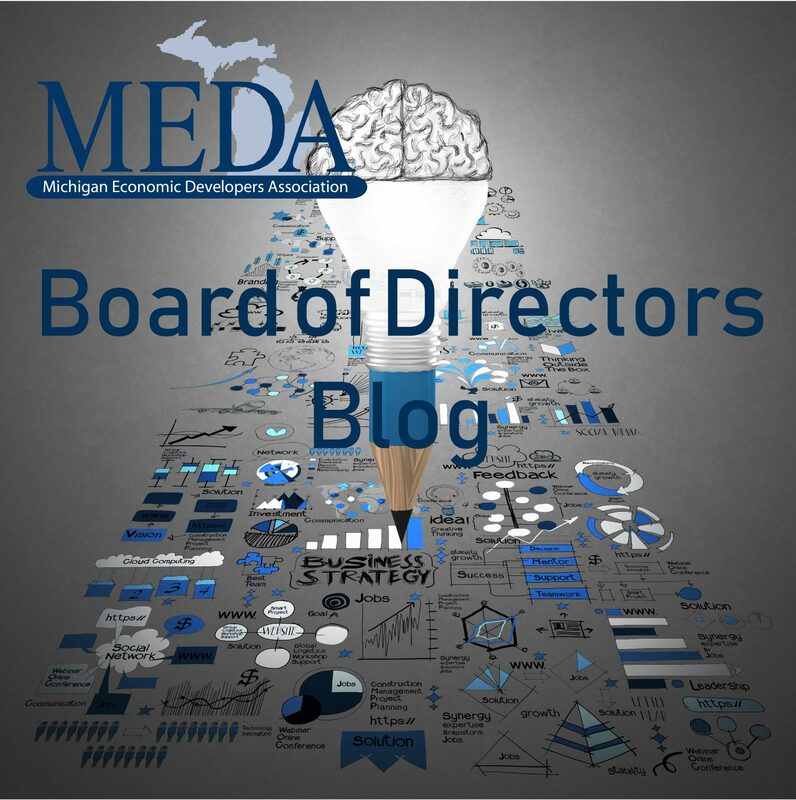 Thelen serves as a Treasurer on the Michigan Economic Developers Association Board of Directors. DTE Energy and Consumers Energy are long time MEDA members and contributors to Michigan’s economy. Now we are taking it to a whole new level; we aren’t your grandfather’s utility companies any more! DTE Energy and Consumers Energy are offering an improved formula for cost sharing to build electric infrastructure for new or expanding businesses that are large energy users. This is intended to lower the cost of electric infrastructure and stimulate our state’s economy. The new formula applies to businesses with 1,000 kilowatts (kW) or greater of electric demand, that are willing to enter into service provider contracts with the utilities. The utilities committed early on to spend an additional $750 million on Michigan made goods and services. They’re exceeding that goal and as a result, creating thousands of jobs in our state. We need to hear from you at the beginning of your projects so that we assist with site selection, provide infrastructure maps, calculate rate options and offer energy efficiency options. To make it easy to contact us, we’ve established new communication channels. In addition to the team members listed on our websites, we’ve established central mailboxes and toll free numbers. Contact us, we look forward to working with you to energize Michigan! Black serves as a Member at Large on the Michigan Economic Developers Association Board of Directors. She was Vice President and President in 2011 and President in 2012. Regional partnerships in Michigan are gaining ground with enthusiastic response from the businesses, municipalities, and citizens of our communities. MEDC, Prima Civitas Foundation, federal departments, and charitable foundations have encouraged and supported regional planning and project implementation. Many such initiatives are underway across the state. These efforts deserve continued support based on their accomplishments to date and future potential. The example that I know best is the I-69 International Trade Corridor Partnership (MEDC Region 8) which has been motivated by the opportunity for new regional marketing and business development incentives. Achievements to date include Next Michigan incentive support for Pinnacle Foods’ Imlay City expansion project, over 230 attendees at last year’s Regional Summit, positive coverage of the region’s new Exporter of the Year Awards, CS Mott Foundation support for industry cluster efforts, and MEDC funding for regional marketing and outreach. Area businesses are responding positively, as evidenced by a recent experience had by Justin Horvath, CEO of Shiawassee Economic Development Partnership. A member of the four-county I-69 Corridor partnership that includes Shiawassee, Genesee, Lapeer, and St. Clair Counties, Horvath found himself at a restaurant drive-through in his community when the manager peeked out and said, “We really like the I-69 Corridor work you guys are doing. Keep up the good work.” Horvath explains that the manager had not attended meetings and had not been approached personally about the regional effort, rather was reacting to news articles and corridor marketing that he had seen in the community. Municipal support is strong as Shiawassee County Administrator Margaret McAvoy recently referred to the I-69 Corridor as a “Ribbon of Hope,” pointing to the progress to date of the I-69 Corridor’s 35-member Next Michigan Development Corporation that she chairs as well as future plans for collaboration along what MDOT has declared a Corridor of International Significance. In terms of external reaction, Paul Brake, City Manager of Grand Blanc and Horvath made a presentation to over 150 US economic developers and site consultants at the IEDC Leadership Summit in Orlando in January regarding the I-69 International Trade Corridor collaboration. Brake reports that attendees were very interested and envious of the new funding and incentive programs that Michigan regional partnerships have been able to access. The I-69 Corridor partnership has received strong support from Prima Civitas Foundation. Former Lansing Mayor David Hollister and legal counsel Jim Smiertka have played significant roles. Their leadership, advice, and facilitation have resulted in a growing level of collaboration and expedient action. The NMDC acted in February to approve municipal applications for Next Michigan Renaissance Zone districts for eligible multi-modal businesses with expansion plans. Based on the great success of Lansing’s “Keep GM” campaign, Hollister formed PCF in 2006 and dedicated the organization to the support of regional efforts such as this. The greatest lessons from this effort are: focus on achieving measurable results, find points of mutual interest, and create a structure that allows for broad-based participation. The I-69 Corridor partnership is just one of a number of successful regional projects across the state. MEDA plans to feature some of them at this year’s annual meeting in August. In the meantime, please use our MEDA Facebook and LinkedIn pages to tell us about your innovative partnerships, progress to date, and opportunities that can be shared among our members. Karcher serves as President of the Michigan Economic Developers Association Board of Directors and represents the I-69 International Trade Corridor Partnership (Region 8) on the MEDC’s Collaborative Development Council. The Genesee Regional Chamber proudly provides administrative and fiscal support for the I-69 Corridor Partnership and the I-69 International Trade Corridor Next Michigan Development Corporation.